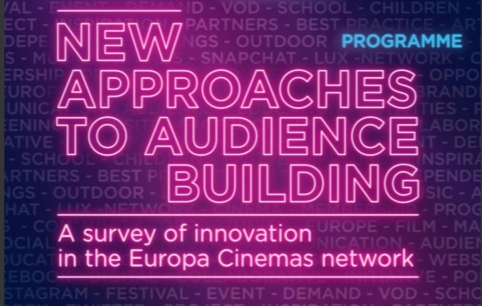 Very interesting read, this Innovation Survey, written by Michael Gubbins (SampoMedia) and Tara Judah and commissioned by Europa Cinemas with the support of Creative Europe / MEDIA, is a study of actions and attitudes towards innovation among 93 independent cinemas in 26 countries. The main objective of the report is to identify areas where innovation can advance the network’s core goal of supporting audience engagement with European films. “Direct – and more informed – relationships with audiences are critical and the survey throws up successful examples to be shared. For some, the logical extension of increased demand from theatrical release, is a share in the emerging on-demand platforms that are now exploiting VOD”. Filmthuis (now Picl) is mentioned as a case, but was in a very early stage during the research.